CleanAIR® is a personal respiratory protection system, based on the principle of overpressure of filtered air in the breathing zone. The respirator is placed on the wearer’s belt. It filtrates the air from the surrounding environment and delivers it through a hose into a protective mask or hood. 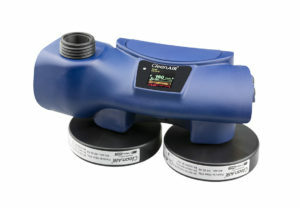 The overpressure prevents the contaminants from entering the breathing zone. This mild overpressure at the same time ensures the wearer’s comfortable feeling even with long-term use, as the wearer is not forced to overcome the breathing resistance of the filters. CleanAIR® AerGO® is a universal powered air purifying respirator designed for personal respiratory protection in dusty industrial environments including areas with contaminants in the form of gases and vapours. The unit is supplied with a control system providing constant air flow and with an advanced electronic system for warning the wearer in case of a sudden decrease of airflow or of a low battery charge. The ergonomic design, low weight and slim profile of the unit guarantee a high level of user´s comfort, even in environments where the movement scope is limited. The unit is compatible with a wide range of CleanAIR® headpieces for various industrial applications. Welding, grinding and surface finishing operations. 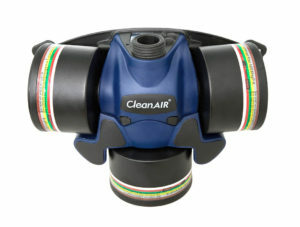 CleanAIR® Basic EVO brings the time-tested construction, a new look and the newest technology. The Basic EVO unit provides the efficient protection in the environments with hazardous particles in form of solid and liquid aerosols (such as dust, smoke, fumes and fibers). It is equipped with the function of electronic constant airflow control, with an advanced system for warning the wearer in case of a low airflow and with a Li-Ion battery. 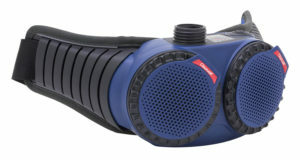 The airflow is individually adjustable (from 170 lpm up to 240 lpm) and can be easily set by just one button. All the relevant information is clearly visible on the newly designed LED control panel. 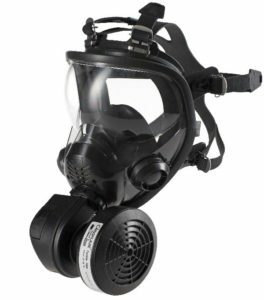 The new generation of powered air purifying respirator filtrates contaminants in the form of gases, vapours, particles and their combinations. Despite its compact size and light weight, the Chemical 2F unit has high mechanical, chemical and UV resistance. The construction of the unit allows easy decontamination in a shower thanks to Ingress Protection IP65. The unique automatic closing system prevents unwanted contamination of the unit by particles while the filters are being changed. A full colour display clearly shows all the relevant information. High level of performance, mechanical and chemical resistance, UV resistance and Ingress Protection IP64 guarantee the sufficient protection of the wearer even in heavy industrial environments such as chemical industry, laboratories and pharmaceutical industry. Full colour display clearly shows all the relevant information. Chemical industry, laboratories, pharmaceutical industry. 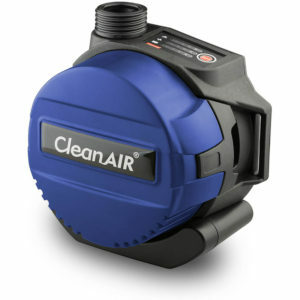 CleanAIR® Asbest is an exceptionally light and compact powered air purifying respirator which is designed for active respiratory and face protection during remediation of materials containing asbestos. The system is available with two different masks – Shigematsu GX02 and CF02.